Firstly, I would like say how much I love this website. 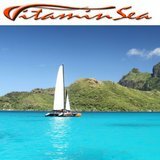 Finding information on the islands is quite difficult but this site is really helping with planning our trip! So, to my question. 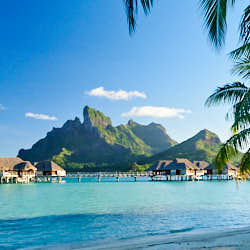 I am planning my honeymoon in Bora Bora next year and we are likely to be staying at the Hilton. 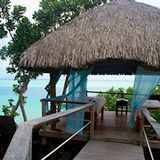 I have read with interest your comments on the over water bungalows, but I wanted to know if you have some more fundamental advice on getting to the hotel? 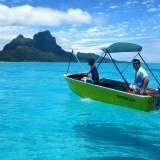 We have provisionally arranged transfers from Bora Bora airport to the Hilton but these are quite expensive. 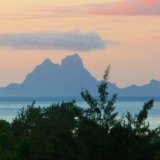 I read a comment on Trip Advisor that Ait Tahiti will provide a free shuttle to the main island of Bora Bora and the shuttle to the Hilton from there is just $10. 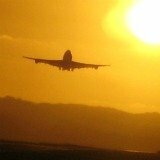 Are you able to verify this or suggest alternative ways of reducing the shuttle cost? Thank you for your kind words about our website. 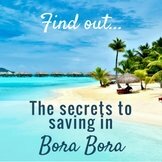 Helping people like you, plan the best Bora Bora vacation is our mission! 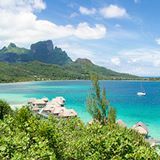 Yes you are correct, that the most affordable way to get to the Hilton Bora Bora Resort is by taking the free Air Tahiti shuttle to Vaitape, and then taking the Hilton's shuttle from there. When we were there it was $8. The cost of the Hilton shuttle changes after 7pm is a little higher. 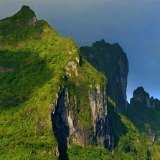 The difference between taking the Hilton airport shuttle service, and the regular Vaitape to the resort shuttle, is the quality of the experience. The airport shuttle is on a luxurious two story motor yacht that brings you straight to the resort with a grand entrance. 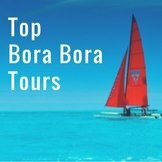 Since this is a special occasion, I would recommending taking the Hilton's airport shuttle for your arrival into Bora Bora and the resort. It will make the experience of arriving so much more memorable. 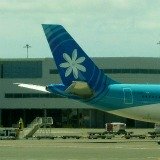 Then if you want to save money, for your departure, take the Hilton shuttle to Vaitape and then the free Air Tahiti shuttle. 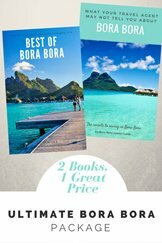 We have done it both ways, and I know what it is like to arrive into the tropical heat and lugg your luggage, carting it between two different piers and onto two differen shuttles. 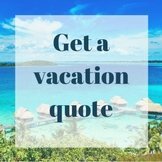 I feel the price of the airport shuttle is worth the dignity and the convenience, and begins your honeymoon in Paradise in a much more relaxing way. 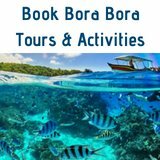 With the airport shuttle there are porters to take your luggage onto the boat, and you should be looked after smoothly during check in as they know when to expect you. We hope you have a wonderful honeymoon! Good luck with the rest of the planning. Any more questions, feel free to ask. 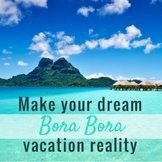 And we'd love to hear about your honeymoon in Bora Bora when you get back! 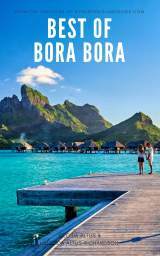 Thanks to your question Aaron I've read about Hilton Bora Bora Resort. I liked it so much that we decided to visit it. 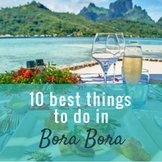 Your Bora Bora Island Guide's Response is nice and informative.